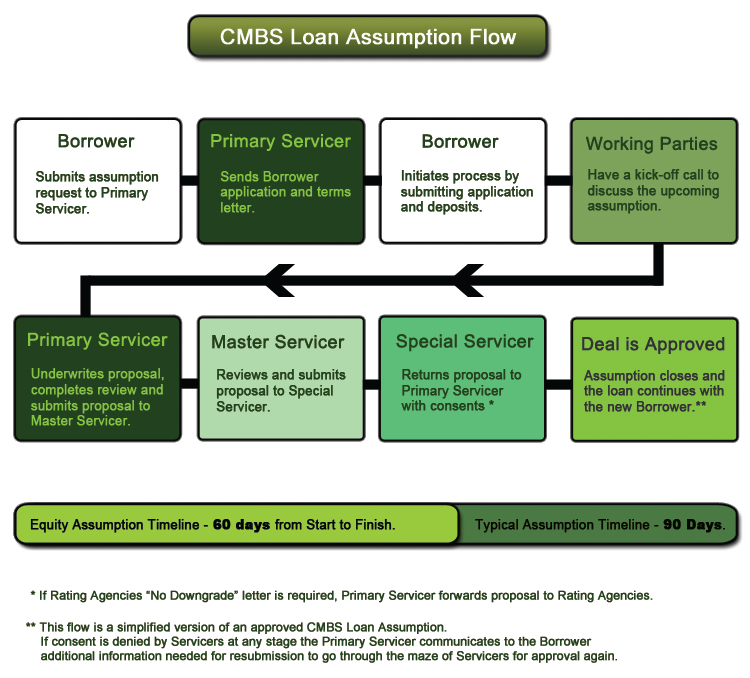 The CMBS loan assumption process is long and complicated due to the numerous parties involved and the long list of requirements that must be met. The typical assumption takes approximately 90 days from the day the borrower submits a request to the final closing day. Equity	Defeasance cuts the processing time down significantly	and reduces the stress and burden on the buyer and seller.